Calabria is the toe of Italy’s geographical boot. 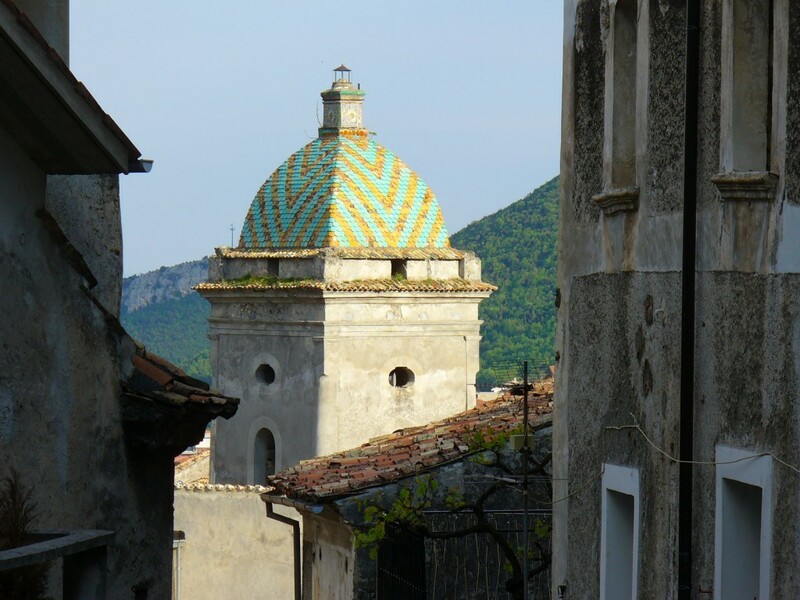 It borders Basilicata to the north and is otherwise surrounded by the Mediterranean Sea. 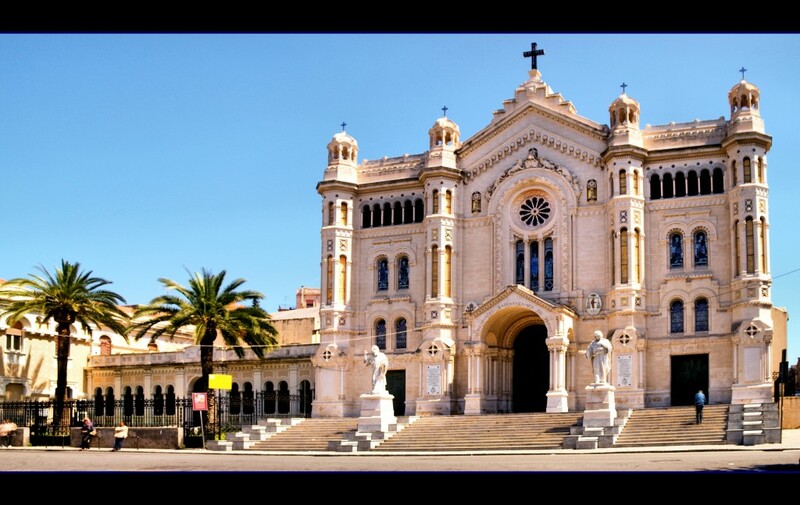 The tip of the toe is a mere 3 kilometres to the island of Sicilia (Sicily). 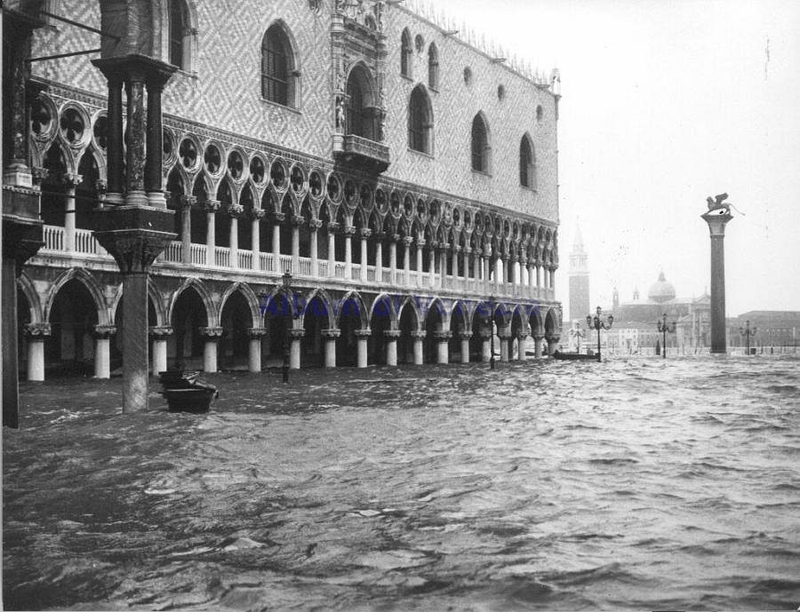 Due to its strategic positioning with the two coastlines along the Tyrrhenian and Ionian Seas, the region has been invaded time and again for centuries. Greeks, Romans, Teutons, Goths, Lombards, Franks, Sicilians, Saracens, French, and Spaniards have left a mark on the language and cuisine. Today it is known for its remarkable natural beauty, the mafia, a purple hued sea, Greek and Byzantine ruins, and agricultural tourism. Traditional local industries include silk, gold work, and textiles. From the woods and the meadows of the Sila and Aspromonte mountains to its beautiful white beaches, Calabria is a scenic place to visit. The people are known for being fair and determined. 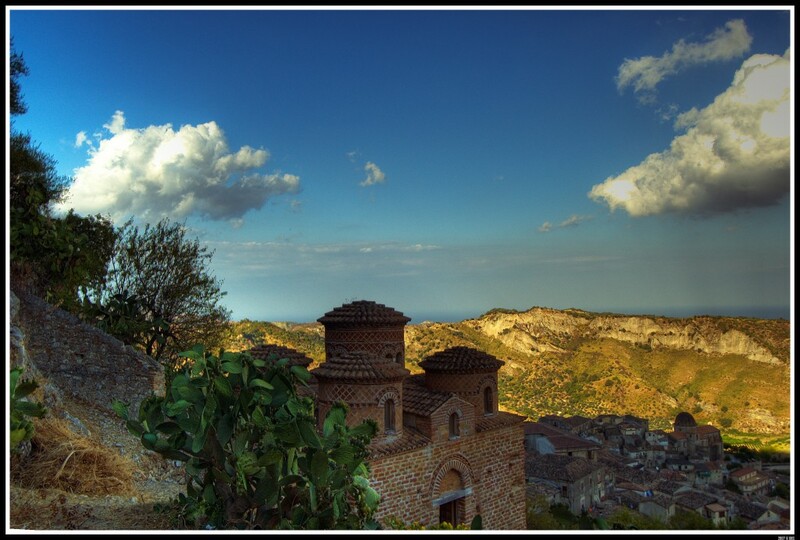 In ancient times, Calabria was a place of great wealth. 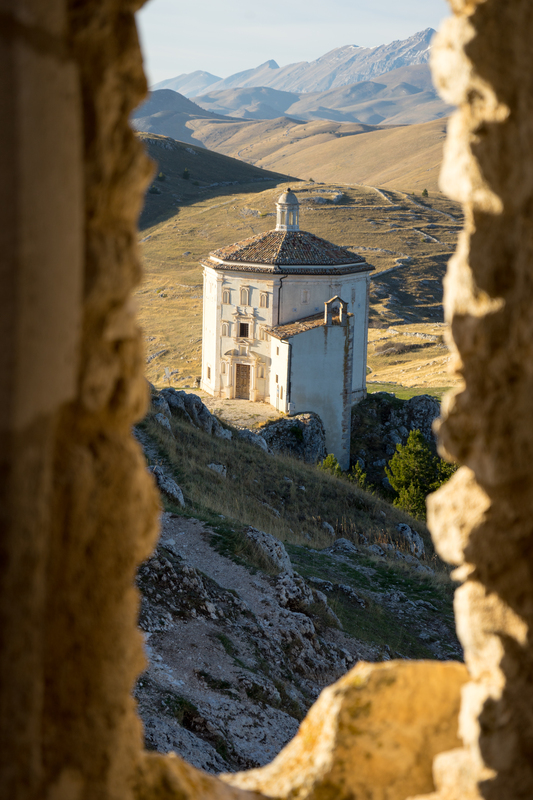 Today, like the other two southernmost regions, Basilicata and Puglia (Apulia), today, it is one of Italy’s poorest. 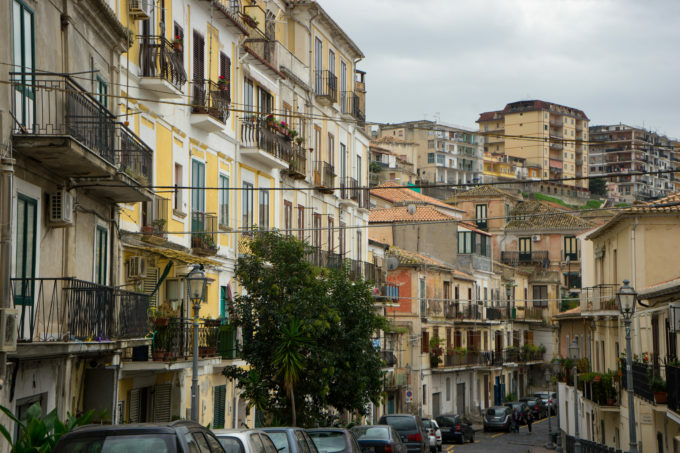 The dialect spoken here is similar to the Sicilian dialect–not surprising considering that for centuries, Reggio has been the entry point for trade, cuisine, and ideas from Sicilia. 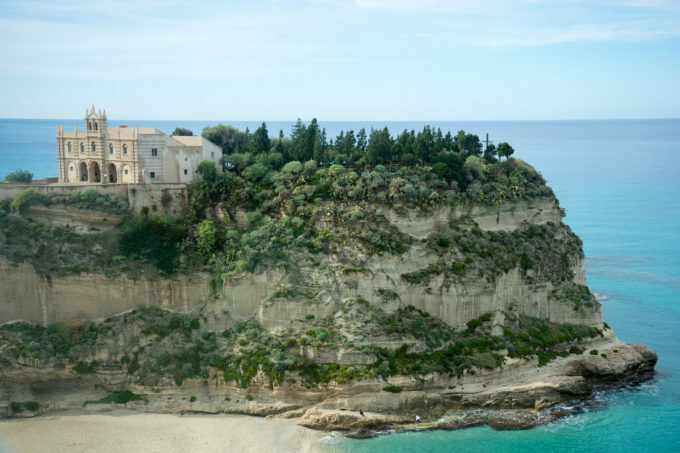 Along the Tyrrhenian and Ionian Coasts and the coastline at the toe of the boot, are splendid beaches, picturesque fishing villages, and well-preserved medieval towns, most notably Gerace, in the mountains of the eastern Aspromonte, and nearby Locri and Mammola. 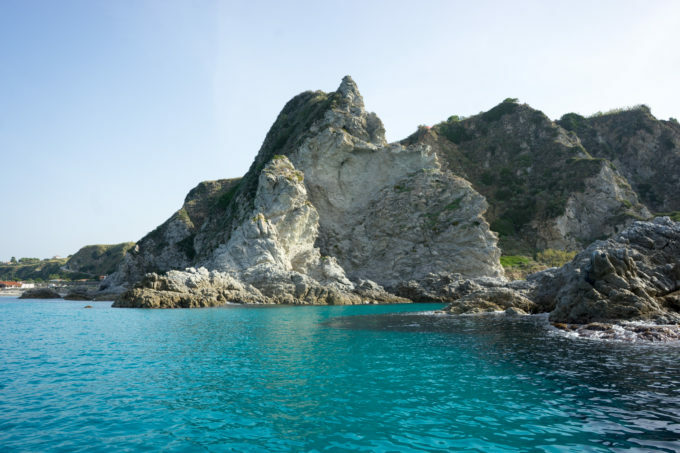 Don’t miss the Costa degli Dei, Capo Vaticano and Tropea and the the crystal blue sea of this spectacular part of the Tyrrhenian coast. 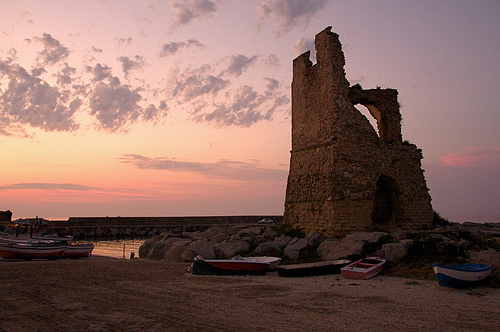 On the Ionian Coast of Reggio Calabria you can visit the ancient Greek colonies of Petedattilo, Crotone, Stilo, Rossano, and the ruins at Capo Colonna from the Magna Graecia period. Parco Nazionale della Sila (Sila National Park)–the treacherous Scylla of Homer’s Odyssey–is a plateau with forest, lakes, prairies, breath-taking towns along the slopes of the hillsides, remote mountain villages, birds and wildlife, and botanical gardens to visit. In Reggio di Calabria there is a good archaeological museum (Museo Nazionale Archeologico) where you can see the Riace Warriors (bronze warriors) from 5C BC and terracotta low reliefs. 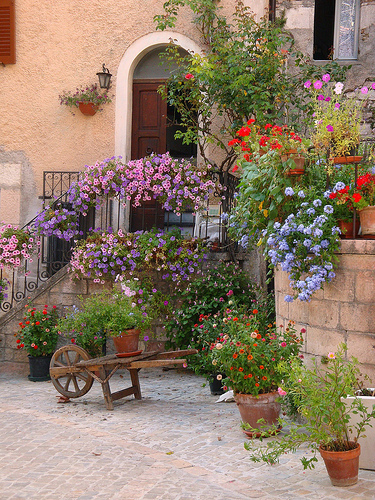 Other scenic places to visit include: Altomonte (a hillside town with unforgettable Gothic architecture known for wild cardoons), Chianalea di Scilla (an old waterside fisher town known for zibibbo grapes, verdello lemons, and swordfish) and Morano Calabro (a stone town with a 15th century church (Chiesa di San Bernardino da Siena) that produces many cheeses). 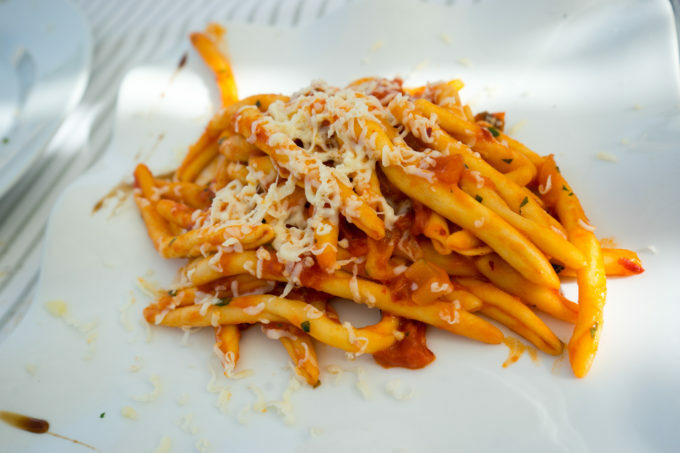 Calabria has a rustic and fiery native cuisine based on local ingredients. 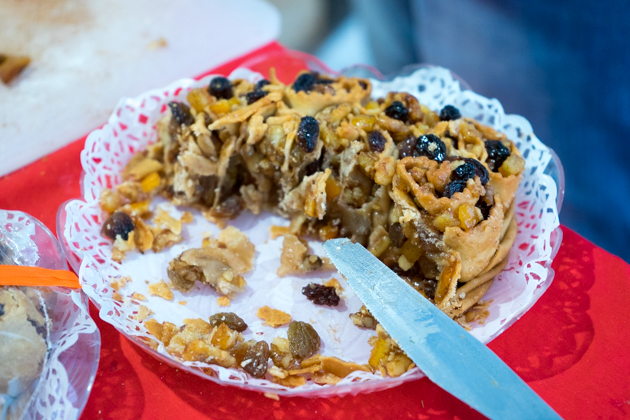 But you can bring home fichi secchi ripieni / crocette / pallone (dried figs stuffed with lemon peel, almonds, and hazelnuts, sometimes covered with chocolate); pancilli (raisins with candied citron); mustaccioli calabresi (honey cookies); pastiddi or pastilli (dried chestnuts); cubbaita (nougat made from sugar and sesame seeds) or torrone gelato (chocolate-covered candied lemon, orange, and mandarin peel mixed with almond paste and sugar). 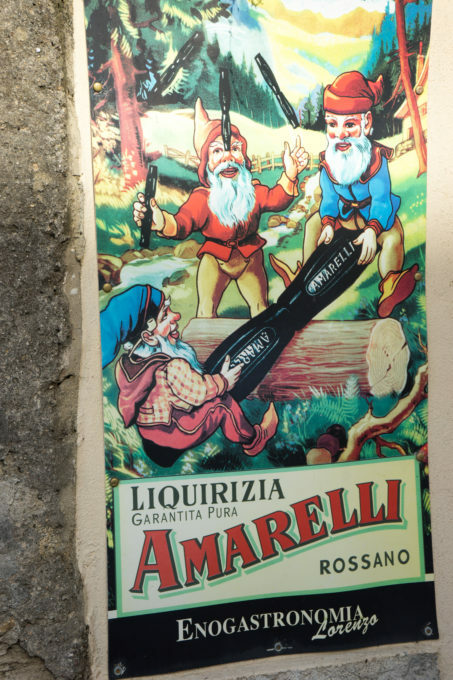 There are also preserved tomatoes, olive oil, olives, dried chillies, ‘nduja (a spicy sausage), various spicy sauces, preserved wild artichokes, liquorice candies from Amarelli and honey. 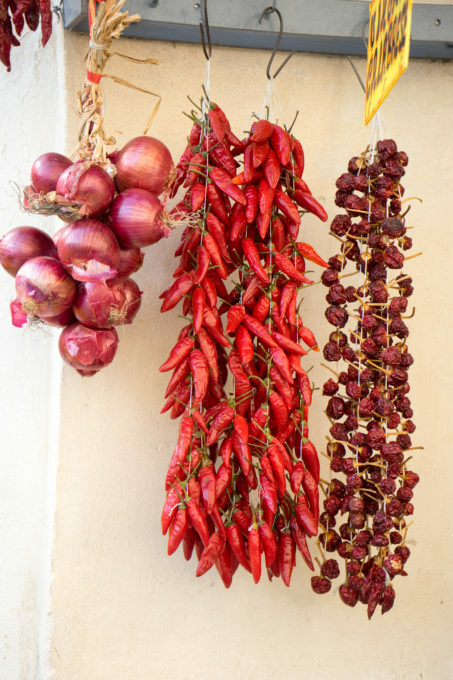 Unlike most parts of Italy, spicy food is appreciated in Calabria. Chilli peppers (peperoncini) seem to find their way into most dishes. Just in case not enough chilli was added when the dish was cooked, a bottle of olio santo (literally, “holy oil,” but meaning, “chilli oil”) is present at the table so you can add it yourself. 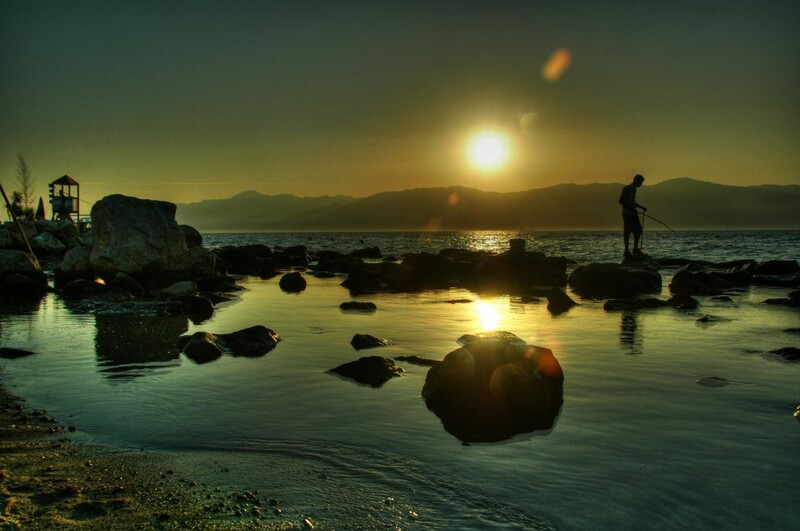 Seafood is enjoyed along the coast; pork and lamb in the interior of the region. 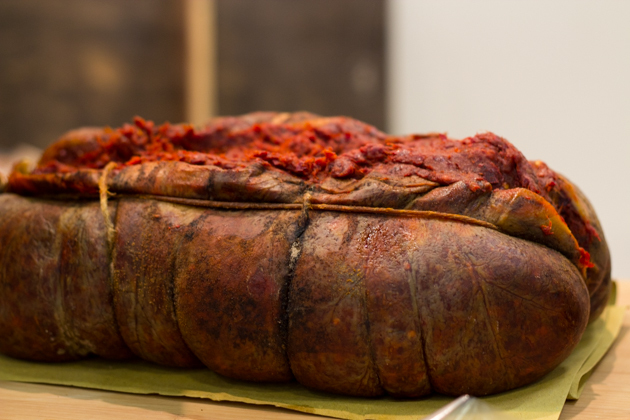 Pork is a very important part of the diet here and is used in ‘nduja (a spreadable Calabrian salami). The slaughter of a pig is a cause for celebration, with all parts of the animal used. 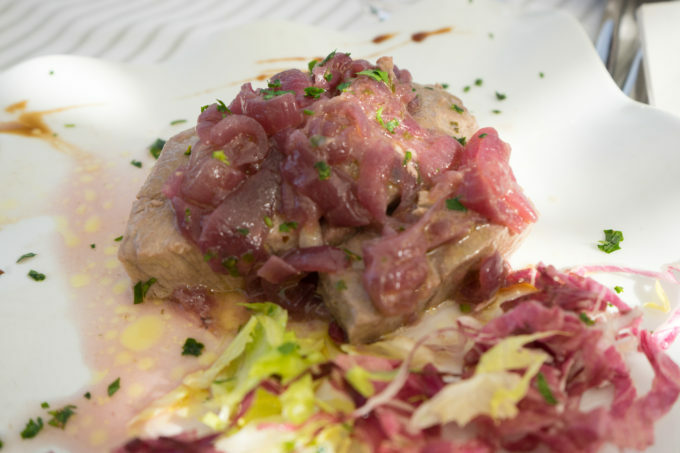 Swordfish is also much prized here (as well as in Sicilia) and there is a swordfish festival in Bagnara Calabra in July. In this town, the men have erected a statue in honour of the female swordfish sellers (bagnarote) who historically travelled all over Calabria to trade the fish for oil, meat, wine, and cloth. Sadly, as swordfish swim in pairs, the tradition in swordfish fishing is to harpoon the female first as the male will not leave her side; he then becomes an easy second target. The fin of the swordfish is the most prized part and is eaten first. 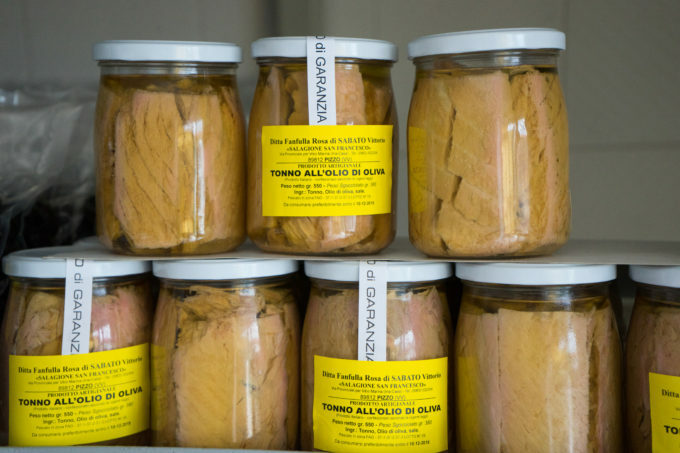 Tuna is also highly regarded and is expertly prepared fresh or preserved in jars and tins. 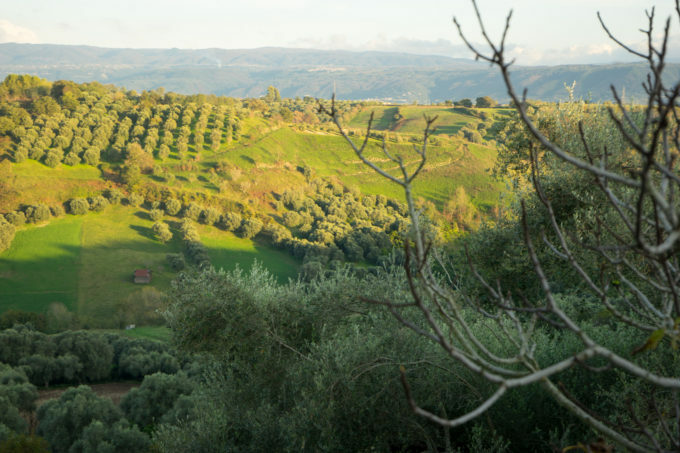 The soil in Calabria is excellent for growing many types of vegetables and fruit. The region is a major agricultural producer in Italy. Aubergine is the most iconic ingredient from Calabria, well loved by its inhabitants. Beans, such as lima beans and white beans, are also esteemed here and are typically cooked with vegetables. 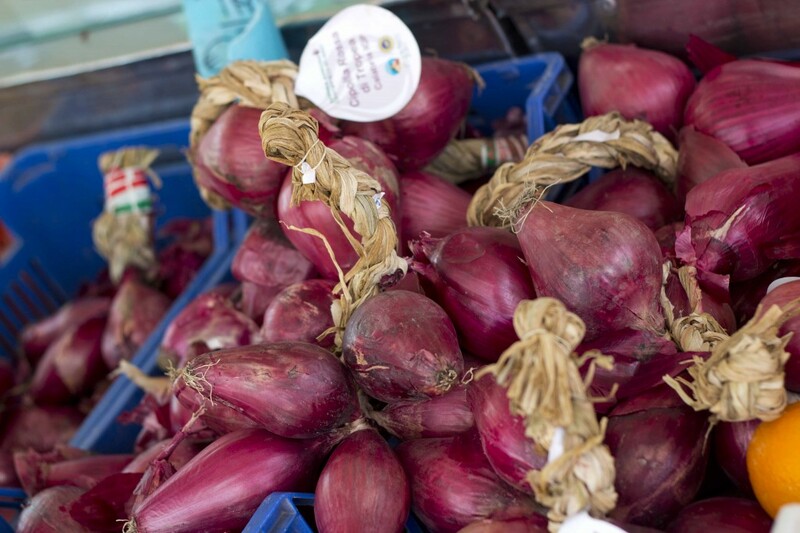 Red onions, a specialty of Tropea, on the Tyrrhenian Sea, are celebrated for their sweetness and are so mild, they can be eaten raw. Various foreign rulers introduced new ingredients over time to Calabria. The Arabs first brought aubergine, artichokes, oranges, lemons, raisins, and spices. The Cistercian monks introduced dairy farming. 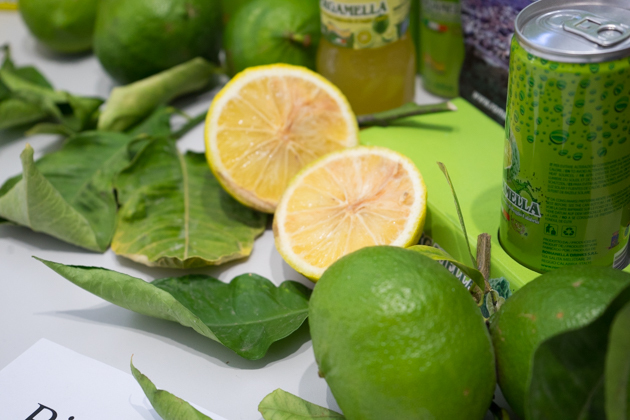 The Calabrians have incorporated many citrus fruit into their cuisine, which are used to make marmalade, confectionary, and liqueurs, as well as perfume. Bergamot, used only in perfume, is a rare citrus grown here which makes a major contribution to the local economy. 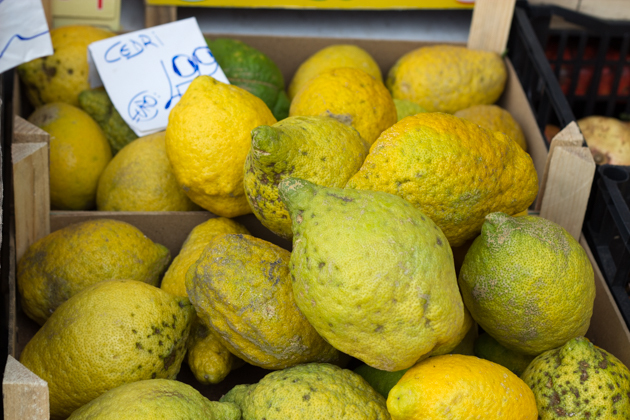 Calabria is a traditional producer of citron, venerated by Jewish people for use during the holiday of Sukkot, and perfect specimens can command up to hundreds of dollars. 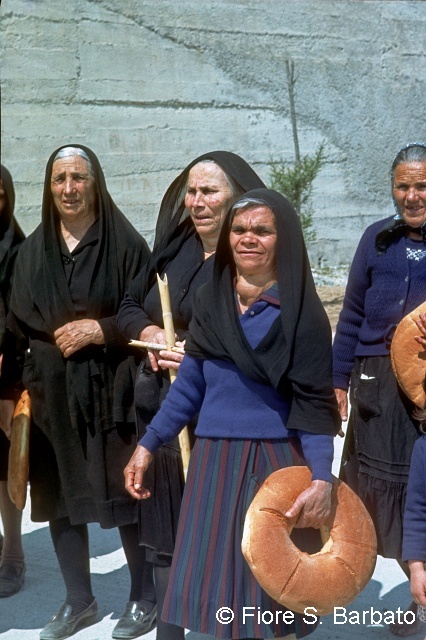 Bread is very important in Calabria and historically, poor families depended on it to avoid starvation. 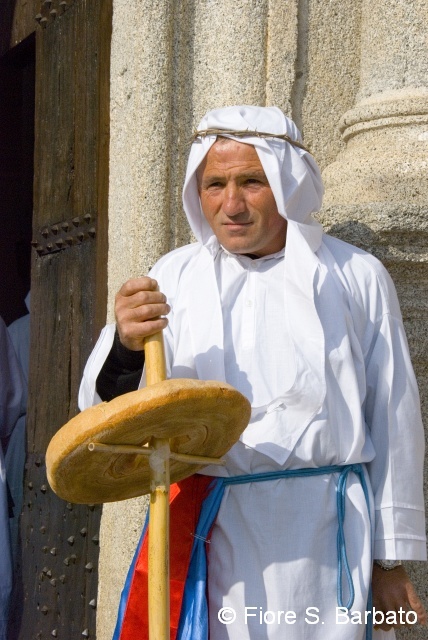 Traditionally there are many religious traditions (pagan and Christian) intertwined with bread making to ensure that the bread turns out well. Small, flat rings of bread, called pitta, were added to the oven to bake at the same time as the loaves and these were offered to the gods. 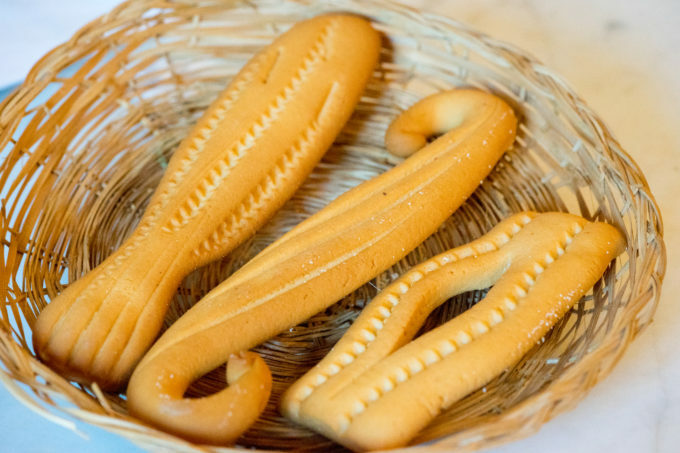 Today they are eaten with salt, olive oil, or filled with cheese. Other local ingredients include tuna, garfish, sardines, anchovies, citron, mandarins, figs, prickly pear, watermelon, honeydew melon, sausages, pork, numerous cheeses (the most well-known being caciocavallo, provolone, mozzarella, and scamorza more detailed below), onions, dried olives, bay leaf, peppers, cipollizza / lampasciuoli (grape hyacinth bulbs), mushrooms (including porcini, ovoli, rosetti, and cantarelli varieties), trout, honey, cinnamon, cloves, anise, nutmeg, oregano, fennel, mint, snails, lamprey, olive oil, tomatoes, peppers, lamb, sambuco (elderberry), corbezzola (tree strawberries), chestnuts, liquorice, lupine (lupin seeds), and jujime (sea anemones). The style of cooking in Calabria is simple but always very tasty. Traditional Calabrian cooking methods are roasting, grilling, baking, and skewering. The iconic dish of Calabria is melanzane alla parmigiana (fried aubergine layered with cheese and baked). Although originally from Campania, many southern Italian provinces make this dish, including Sicilia, Sardinia and Puglia. See Calabrian recipes here. Calabria is one of the only regions in Italy where not only a big breakfast, but a savoury one is eaten. Most Italians famously have little more than a coffee and maybe some cookies or bread for breakfast and the thought of anything savoury would put them off. 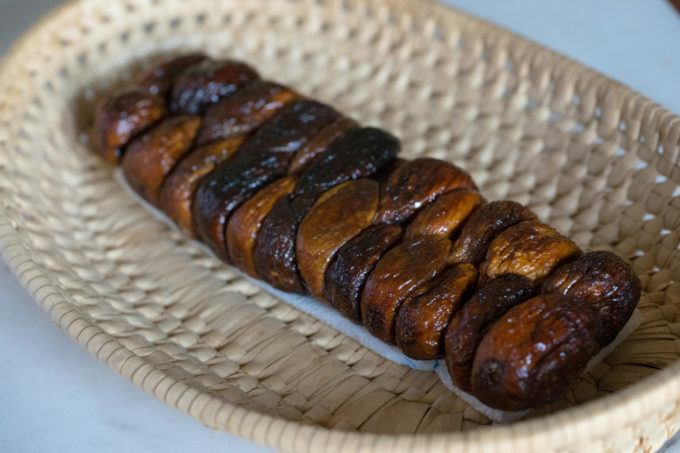 A traditional Calabrese breakfast dish is bread stuffed with murseddu (a spicy beef and pork liver and offal pate). 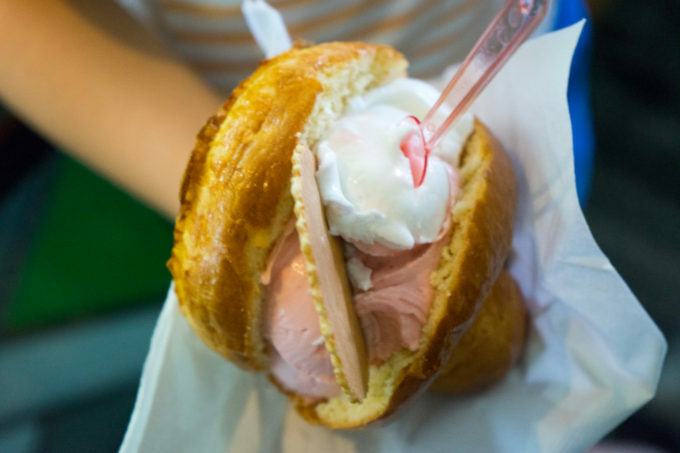 Gelato is enjoyed all day long, including for breakfast, when it is sandwiched within brioche. 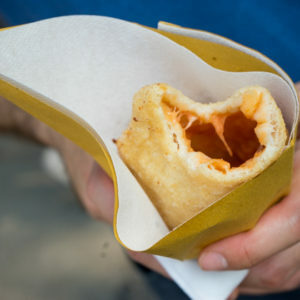 Other traditional Calabrian dishes include schiaffettoni (meat-stuffed rigatoni macaroni), sagne chine (a baked lasagne dish layered with meat and hard-boiled eggs), pasta cu’ ra muddica (pasta topped with flavoured breadcrumbs to imitate cheese), and capretto da latte allo spiedo (spit-roast kid goat). 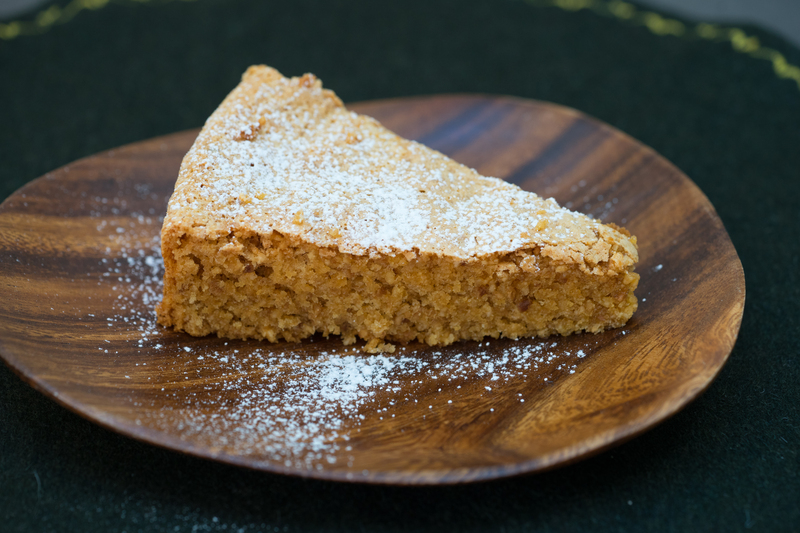 Desserts are not rich and usually consist of pastries, biscuits, or figs. 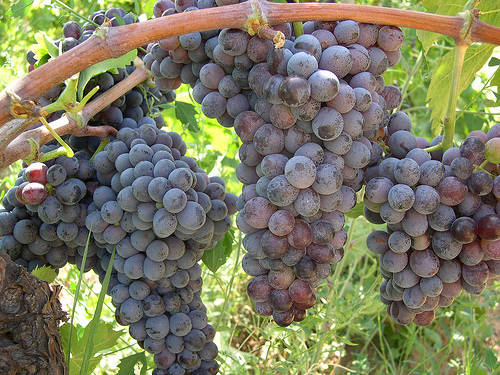 Suggested wines include red wine made from Galioppo grapes and Greco di Bianco, an extremely rare and ancient type of passito-style sweet wine. 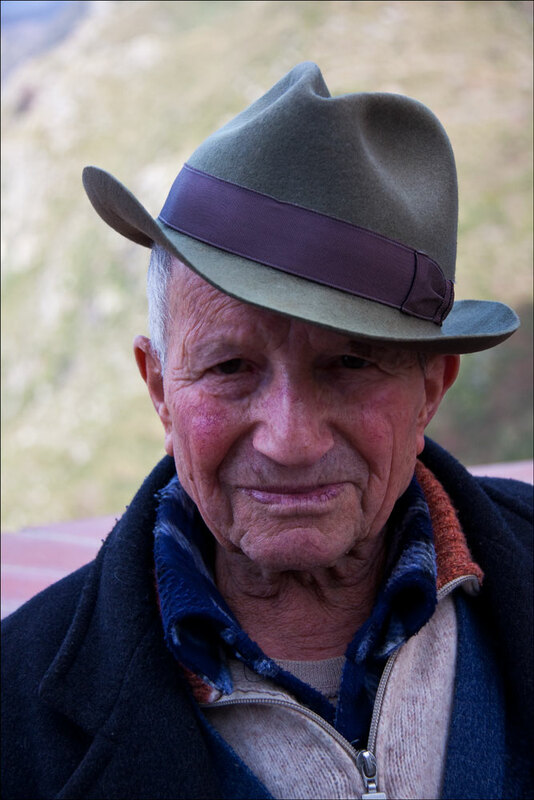 Look for Galioppo wine made in the DOCs of Cirò, Savuto, and Pollino by producers such as Librandi, Criserà, and Fattoria San Francesco. A good producer of Greco di Bianco sweet wine (careful as there is also a dry wine with the same name) is Cantine Viola. Caciocavallo silano DOP (a cow’s milk, stretched curd cheese shaped like a bowling pin) This cheese has been made since the Middle Ages and is produced all over southern Italy in Calabria, Campania, Molise, Puglia, and Basilicata. 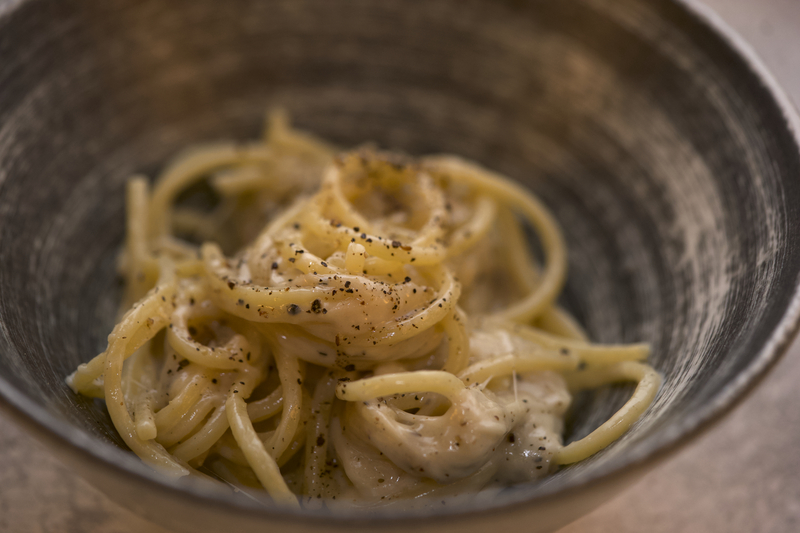 This cheese is an important ingredient in pasta china. Pecorino crotonese / Canestrato crotonese (a hard cheese made in Crotone and Rossano and Catanzaro Lido in the Sila area from a combination of ewe’s and goat’s milk) This cheese has been made since the second half of the eighteenth century. 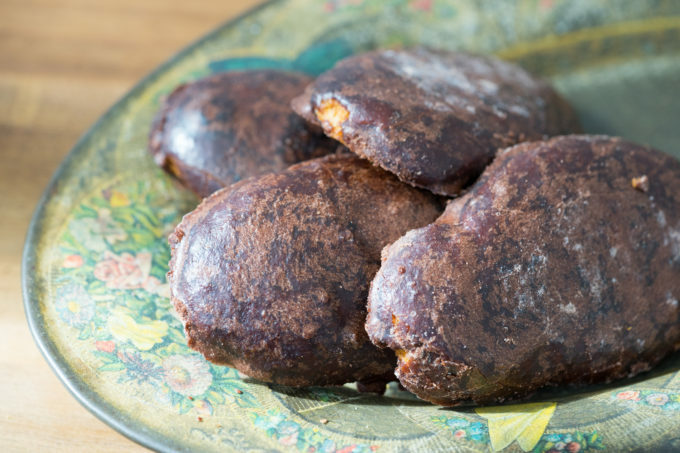 It is traditionally eaten at Easter with raw broad beans and red wine. Pecorino della Vallata Stilaro Allaro (a hard ewe’s and goat’s milk cheese) This cheese is produced in the Upper Ionian area of Reggio Calabria.